Add track handling performance on your 2015-2018 Mustang with a Track Handling Pack from Ford Performance! Add track handling performance on your 2015-2019 Mustang with a Track Handling Pack from Ford Performance! Ford Performance includes every component needed for this upgrade and is one of the most popular upgrades to your S550! A front sway bar, as well as a rear sway bar, are included to reduce body roll for improved cornering. 1" track lowering springs provide an optimized center of gravity, as well as the perfect stance while off the streets. New jounce bumpers are included to prevent bottoming out. 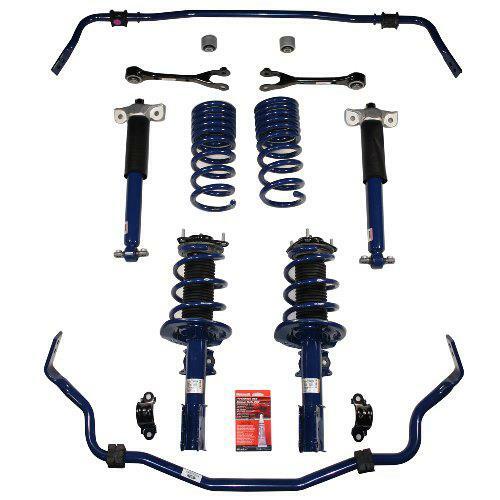 Performance shocks and struts pair great with the springs to improve handling without sacrificing ride quality. Performance Pack strut mounts, and rear toe link kit complete this kit to completely overhaul your S550 suspension! This video explains the detailed process of removing the front and rear sway bars from a 2015-2019 S550 Mustang. - The processes shown in ths video may not be correct for certain trims and/or packages. This video explains the detailed process of removing the front struts, front springs, rear shocks, and rear springs from a 2015-2019 S550 Mustang. Add track handling performance on your 2015-2018 Mustang with a Track Handling Pack from Ford Performance! Ford Performance includes every component needed for this upgrade and is one of the most popular upgrades to your S550! A front sway bar, as well as a rear sway bar, are included to reduce body roll for improved cornering. 1" track lowering springs provide an optimized center of gravity, as well as the perfect stance while off the streets. New jounce bumpers are included to prevent bottoming out. Performance shocks and struts pair great with the springs to improve handling without sacrificing ride quality. 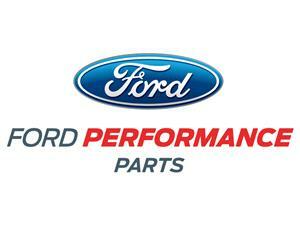 Performance Pack strut mounts, and rear toe link kit complete this kit to completely overhaul your S550 suspension! - May require alignment after installation. - Will cause a slightly harsher ride compared to stock springs.